**Dear customers: This Pre-Order is closed on 30 September 2018. Shipment is around January 2019 or as soon as Pre-Order items have arrived. Purpose of Making: Wat Khae the longtime temple in Suphanburi presents graceful Buddha ‘PhraPhutthaMongkolNakaMolee’ in order to contribute to the project building the chanting hall. Ceremony: holy blessing at Wat Khae, Suphanburi Province on the auspicious occasion. 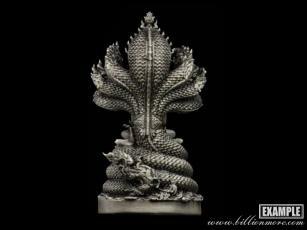 Phra NakProk (also Pang NakProk) is name of the Buddha image under the covering by Naga. 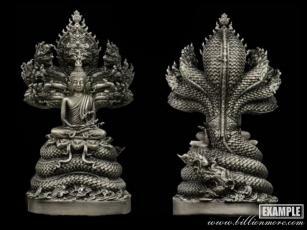 This image derived when Buddha was in practice of being enlightened. 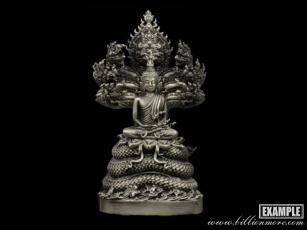 Buddha sat under the big Bodhi tree (Srimahapho) and kept doing meditation. 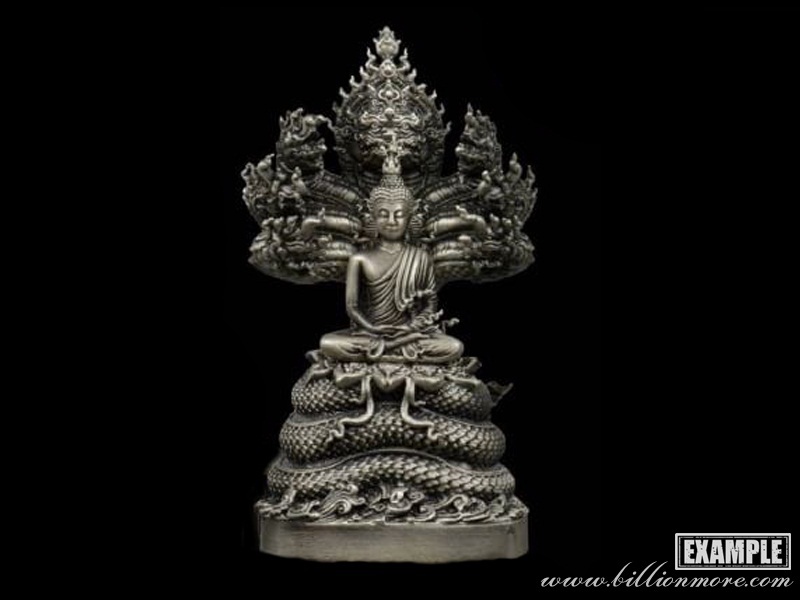 One day, it rained 7 days and 7 nights and Phaya Mujarin (king of great snakes) saw and was afraid that Buddha would get wet, so he covered Buddha with himself like an umbrella. In fact, Phaya Mujarin had faith in Buddha. When it stopped raining, Phaya Mujarin transformed himself into a human and paid respect to Buddha.